​Alex Morgan, one of the biggest names in US Soccer and the poster-girl for the women’s national team has been kicked out of Disney World in Florida along with the former Derby County and West Brom midfielder Giles Barnes following a drunken row. ​TMZ report that the 28-year old who plays for the Orlando Pride partied with a group of friends at a bar in the UK section of the Disney resort. According to a report from Orange County Sheriff’s Department, Barnes got into an argument after he queue jumped. He was then escorted out of the park before security were summoned back to throw out Morgan. “The Orlando City SC organisation is aware of a situation that occurred at Walt Disney World’s Epcot theme park earlier this week and is awaiting official communication from Disney or the Orange County Police Department. Morgan is one of the biggest names in women’s football having been capped 130 times by the U.S. She helped her country win the gold medal in the London Olympics in 2012 and also win the 2015 World Cup, beating Japan in the final. Hours before the incident, she had helped her club side, Orlando Pride, defeat North Carolina Courage 3-2 to reach the play-off semi finals. Giles Barnes moved to the MLS in 2012 after two unsuccessful spells in the Premier League at Derby County and West Brom, he has represented the Vancouver Whitecaps and Houston Dynamo before joining Orlando for the 2017 season. Cristiano Ronaldo scored and helped Portugal national football team win an eighth straight game in World Cup qualifying on Saturday — and still could fail to qualify. While Portugal were labouring to beat Andorra 2-0, using their superstar as a substitute, Group B leaders Switzerland national football team’s 5-2 win over visiting Hungary ran its own win streak to nine. And the Swiss still could fail to advance. It set up a showdown game in Lisbon on Tuesday that Portugal must win while the Swiss need only a draw to top the group and avoid the playoffs next month. “If you win nine out of nine and you can still have fear of not qualifying, it’s anyway a bit complicated,” Switzerland captain Stephan Lichtsteiner said. France’s third-minute goal in Bulgaria was enough for a 1-0 win to retain the Group A lead by one point from Sweden, which earlier routed Luxembourg 8-0. The third-place Netherlands need a miracle in its final game at home to Sweden on Tuesday, despite winning 3-1 in Belarus. Belgium already qualified from Group H last month, and won 4-3 in Bosnia-Herzegovina to dent the home team’s chance of claiming a playoffs place as one of the eight best runners-up in the nine European groups. 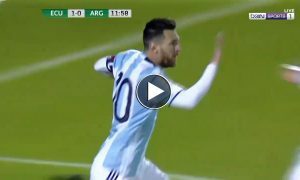 Messi & Ronaldo Reactions to each other’s Goals & More .. Rivals or Friends? Whether you’re pro-Lionel Messi or pro-Cristiano Ronaldo, it’s been a privilege to watch the duo battle for No.1 in world football over the past 10 years. At this moment in time, Messi still comes out on top in terms of Ballon d’Ors, but it’s expected Ronaldo will level the scores in December. 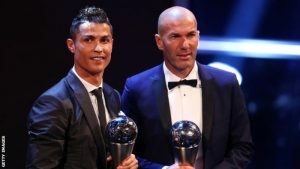 The Real Madrid man has enjoyed a stellar year at the Bernabeu, winning the La Liga and Champions League double and being named the FIFA Best Player. Should Ronaldo win the Ballon d’Or, he will take his tally to five and join Messi as the player to have won the award the most times. Their rivalry is unlike anything ever seen before in football and one of the best things about it is they have huge respect for each other. Back in May, Ronaldo said that while he’s not close friends with Messi, he enjoys watching him play for Barcelona and Argentina. “Whenever I’m with him, I have a very good relationship with Messi. It’s not that I go to his house and eat together. 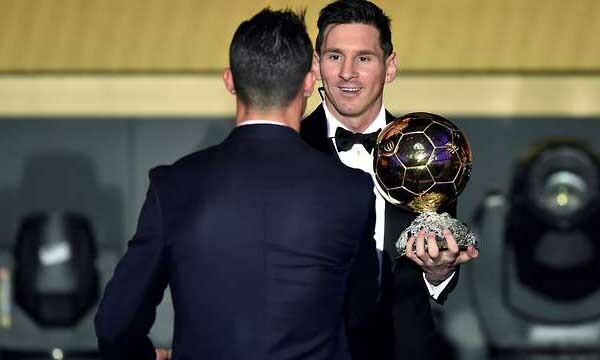 Messi then returned the favour over the summer, saying: “I have always said it – and [Ronaldo] from his part – that he is armed with the presence of us both. “We try to achieve the best every year for our team, and what is said outside of that I don’t think is very important. Cristiano Ronaldo. The very name evokes a sense of glamour, fashion, and glitz. Ronaldo and his amazing goals. Ronaldo and his breathtaking passes. Ronaldo and his mindblowing cars. Ronaldo and his smoking hot girlfriends. Ronaldo and his dark, furious shenanigans. 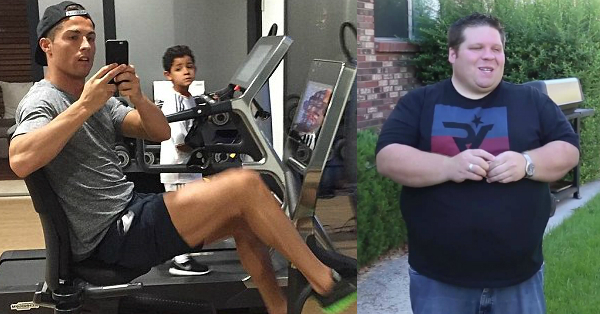 Ronaldo and his love for his son. Ronaldo and his giving, compassionate nature. Ronaldo and his chiseled body… So much more comes to mind when we think of Ronaldo. But, ever wonder what his life was like before Cristiano Ronaldo became famous? We all know what a rich, fulfilling life CR7 leads today. He is one of the most remarkable soccer players the world has seen. He is an amazing captain, and has contributed to an extraordinary number of wins for his teams. Off the field, he is a doting father, a loving son, and a charitable man who has something to give to his fans and to the less privileged. He is coveted around the world by one of the most handsome players, with a killer body and a sense of style that ranges from suave to cool. Needless to say, he has more wealth than a common man can imagine. He is also the media’s pet bad boy. His anger on the field, his online spats, his tussle with reporters are all hugely highlighted. paparazzi is always after him to find out who he is dating, or having dinner with, or taking on a holiday. Meanwhile, Ronaldo has become the most popular man on social media. His life is full of criticism and simultaneously blind love. He copes with it all, and time and again, he has proven that he deserves all the adulation, wealth and glamour that he has. But, what about his life before he earned all the glitz? How much do you know about the not so famous Ronaldo? Did you know that he once threw a chair at his teacher? There’s a lot we do not know about Ronaldo. 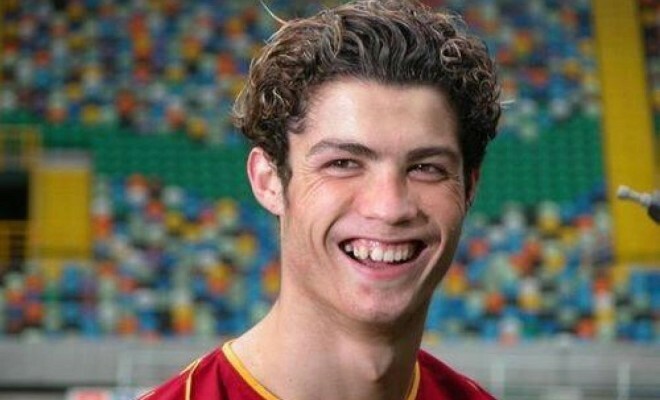 Here’s a look at CR7’s life before all the fame. [Video] Cristiano Ronaldo Scores in Complete Darkness as Part of Scientific Test! We all know what an amazing footballer Cristiano Ronaldo is. His goal scoring skills and his amazing passes have always proven to be match-winners. Critics, however, often compare him to other players, be it of his time, or of the yesteryears. It might be true there are many other skillful players in the history of soccer. but, how many players are there who can match this Portuguese and net the ball in darkness? Because, Ronaldo scores in complete darkness! As shocking as it may sound, it is true. Ronaldo has the most extraordinary visual skills, as you will be able to see in this video, where scientists test Ronaldo visual processing. Ronaldo judges where a moving ball might be, in complete darkness, and he scores. Not once, not twice – but THRICE, in succession! And, one of them is a diving header! Night-vision technology makes it possible for us to witness the wonder, as Ronaldo scores in complete darkness. But, one may ask: what is the purpose of such a test? Why would anyone need to score in darkness? The answer is, the importance of visual processing for athletic performance. This video displays a test of Ronaldo’s visual skills, as a part of the series of scientific tests that Ronaldo took for a documentary, Ronaldo Tested to the Limit, made by Castrol for whom CR7 is a global ambassador, and screened on Sky Sports. The main focus of this video is on two major elements of sports vision. the first is the skill to gather relevant visual data as fast as possible, to be able to gauge the environment and the situation, and the second is the capability to interpret the gathered data, and predict what is about to happen next. It is evident that Cristiano Ronaldo’s skill in this regard has been developed to an absurd level. Manchester United are working on a formula that may allow them to sign a global star for next season. The Luis Van Gaal side is in a lot of trouble this season having already lost the place in UEFA Champions League. According to the British press, Cristiano Ronaldo, Neymar and Bale are the three players who have marked in red by the English club for next season. The aim is to sign at least two of them. This is confirmed by the newspaper ‘The Times’, who argued that spending money will not be a problem for the Manchester club. The United is one of the richest club in the world and intends to use all its economic machinery to close at least two flashy signings that would shake all the foundations of European football. The team ‘red devil’ is no longer a reference in England having won seven of the top 10 leagues in this century. The failure in the Champions League together with the lack of titles in recent seasons have shot all the alarms at Old Trafford. Manchester United want their man back at Old Trafford at any cost. Cristiano Ronaldo was sold by the side in 2009. The striker has leaped many milestones at Los Blancos during his seven seasons however his sympathies with Red Devils still persists. Cristiano Ronaldo won many feats at Manchester United and carries good memories of the club where he groomed up into a complete player. Manchester United know that their boy has a place for the club in his heart so they are trying every possibility to sign him back. The striker also often shows his affection for the club. Cristiano Ronaldo is determined to close the year 2015 to be, once again, the top scorer in the world in a calendar year, something in his hand. Right now Cristiano Ronaldo has scored in the year 2015 a total of 55 goals. 50 of them have been with Real Madrid and the other 5 he has scored with the selection of Portugal. These figures will be far the top scorer of the calendar year with just one game remaining in the year, which in his case will be on Wednesday against Real Sociedad. 55 goals scored by Cristiano Ronaldo in the year 2015 let him beat Lionel Messi and Neymar, the two arch rivals from Barcelona. The Argentine has scored between the national team and Barcelona a total of 51 goals, while Brazilian has managed 49 goals in his games for both club and country. Both also have left to play a match in this year, which will measure them against Betis on Wednesday. 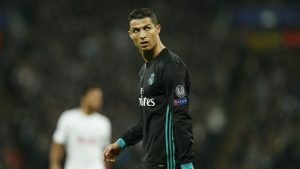 Keeping in view Real Madrid and Cristiano Ronaldo’s performance at home this season it can be concluded that the Portuguese has a fair chance to be the top scorer for yet another calendar year. Cristiano Ronaldo has scored so far 514 career goals, a number that depicts the quality he’s got. At the start of the new season the striker was struggling which was later revealed to be a fitness issue. The Portugal captain is now fully recovered from the knee injury and ready run with freedom. Cristiano scored a brace in their last game against Rayo that was truly dominated by his Welsh teammate Gareth Bale. The striker already has the record to have fifty plus goals in five consecutive seasons, with 23 goals in this season he will try his level best to keep the norm going. The match against Real Sociedad is also important in terms of finishing the year with a good result and return happy on the new year. Cristiano Ronaldo is the best ever footballer in the world not just for his game but also for his off field activities. 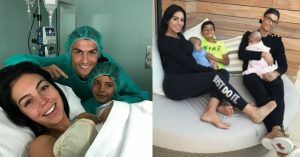 The 30 year old Portuguese striker has a reputation for his charity works as well as the ultimate devotion towards the fans. Often regarded as an individual player on the field the Real Madrid striker is quite opposite off the field. His love for the fans demanding an autograph is exemplary as he never turns them down. Cristiano Ronaldo loves to participate in human serving deeds. The richest footballer in the world never limits his hands for the noble cause. He was regarded as the most charitable athlete in the world last year. The Real Madrid striker is getting much humble now a days with all his gestures being kept in control. However that hasn’t been the same throughout his career. There was a time when the striker used to go brutal on the opponents not just with his game but also with his actions. During his time at Manchester United and in the early days of Real Madrid, Cristiano Ronaldo has been much aggressive. A total of 9 red cards in his whole career are a little evidence of what he used to be in his early days. With the passage of time Cristiano has controlled the unnecessary aggression for the level he’s got today demands modesty. Football is more than just a game and the responsibility is even huge when you are a legend. Cristiano Ronaldo does avoid any unnecessary punch-ups during the games however the habit of getting frustrated is still there. The striker is a goal machine ever demanding more for himself and the team and at times when he fails to get score he gets frustrated. And today’s media is well aware of making the big news out of small gestures of the frontrunners of the game.